Definition at line 393 of file ntimage.h. Definition at line 395 of file ntimage.h. Definition at line 174 of file pecoff.h. Definition at line 396 of file ntimage.h. Referenced by _get_checksum_offset(), check_pe_exe(), CheckSumMappedFile(), IMAGEHLP_GetSecurityDirOffset(), IMAGEHLP_RecalculateChecksum(), IMAGEHLP_SetSecurityDirOffset(), query_image_section(), test_Loader(), and write_raw_resources(). Definition at line 172 of file pecoff.h. Definition at line 394 of file ntimage.h. 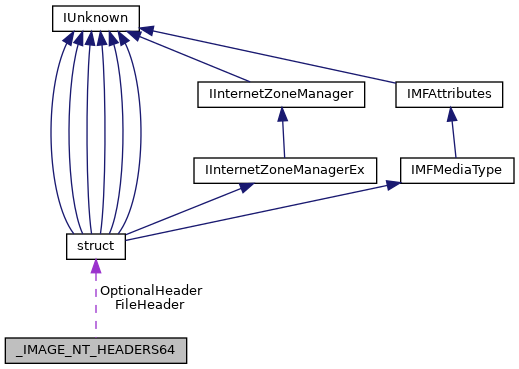 Referenced by IMAGEHLP_GetNTHeaders(), and test_Loader().